European new-car sales rose 5.8 percent in November, helped by an extra selling day with Peugeot, Toyota, Dacia and Kia posting strong gains while the Fiat and BMW brands saw their sales slide. Registrations rose to 1.26 million cars last month in the EU and EFTA countries, industry body ACEA said on Thursday, from 1.19 million a year earlier. Eleven-months sales were up 4 percent to 14.5 million autos. Sales by PSA soared 83 percent, as registrations of the newly acquired Opel-Vauxhall division were not included in year-earlier records. 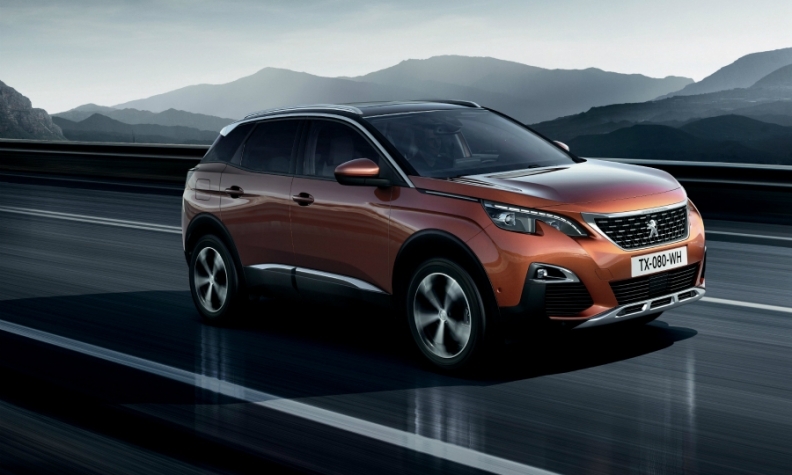 Peugeot brand sales jumped 20 percent, boosted by demand for its new 3008 and 5008 SUVs while volume at Citroen, which began deliveries of the C3 Aircross SUV in recent months, rose 15 percent. DS sales fell 9 percent. Opel-Vauxhall sales were 71,953, down from 73,377 in November last year. Volkswagen Group reported a 5 percent increase, led by Seat and Skoda, which both posted 12 percent gains. Skoda's volume was helped by the new Kodiak SUV, while the Ateca SUV boosted Seat's result. Audi 's volume rose 3.6 percent, VW brand was up 1.5 percent and Porsche 1 percent. Renault Group sales grew 10 percent with Renault brand registrations up 5 percent and Dacia's volume surging 25 percent. Fiat Chrysler slipped 1 percent after a 28 percent increase at Jeep and 23 percent jump at Alfa Romeo offset a drop in Fiat brand sales of 6.8 percent. Ford sales rose 4.3 percent. Among Asian brands, Kia's volume was up 13 percent after the brand introduced the Stonic SUV. Hyundai sales grew 6 percent. Toyota registrations increased 12 percent with Toyota brand's volume up 12 percent, helped by C-HR sales, and Lexus sales rising 14 percent on demand for the NX and CT models. Nissan's registrations dropped by 5 percent. Mercedes-Benz brand's volume rose 2.1 percent while BMW brand sales fell 2.2 percent. Download PDF, above right, for November and 11-month European sales by automaker, brand and market. Of Europe’s five biggest auto markets, Germany, France and Spain posted double-digit or close to double-digit advances, outweighing an 11 percent plunge in the No. 2 market Britain where weaker consumer confidence and uncertainty over the future of diesel have been hurting demand. The region is set for the highest annual delivery volume in a decade, cementing a comeback from the global recession and sovereign debt crises in some EU countries that plagued the car market for years. The EU raised third-quarter gross domestic product growth figures a week ago, while unemployment in the countries sharing the euro is at a nine-year low, encouraging consumer and business spending on autos, especially roomier SUVs. "The crisis has been overcome, and in the coming year demand can continue upward," Peter Fuss, a partner at consultant EY, said in a statement. "Economic growth prospects are good," and "interest rates remain low, making auto financing terms attractive." EDITORS NOTE: This article was amended to correct Jeep and Alfa Romeo sales.